Lungs drenched in tar is a freighting consequence of nicotine. The remnants of healthy living are gone out the window along with the hopes of a long life. Endless consequences for our deadly vices but there’s something relaxing in a cigarette. 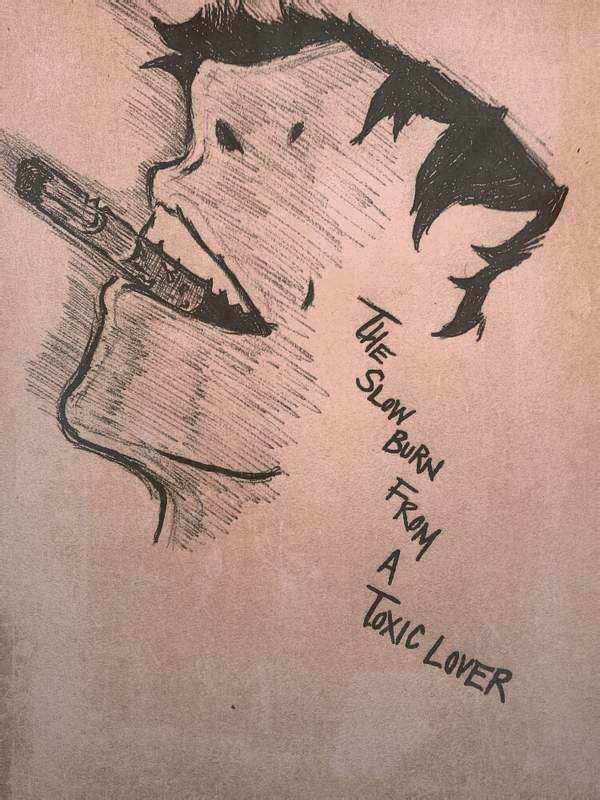 A toxic love affair but no one comprehends it better than your lover. The intmacy between the two of you is sensuous. The enchanting taste of tobacco on your palate then smoke creeps into your lungs with a subtle seduction. An exhale signifies a pleasurable climax. With energy spent, you bask in the afterglow. Even though you’re in lover’s paradise, a quarrel hits you with reality. The relationship is over. Occasionally, you’ll crave the sensation again until the random hookup happens. The affair is reignited, and the reunion feels so good. You can’t help but appease your masochistic tendencies; it’s your fatal flaw. We’re all in love with our own sins.